Our apartment has high ceilings which is nice, because it makes the 700 square feet feel a lot less cramped. My only issue with it is the kitchen, where I can’t reach things a lot of the time. We have mostly non-necessary things on the top shelf. 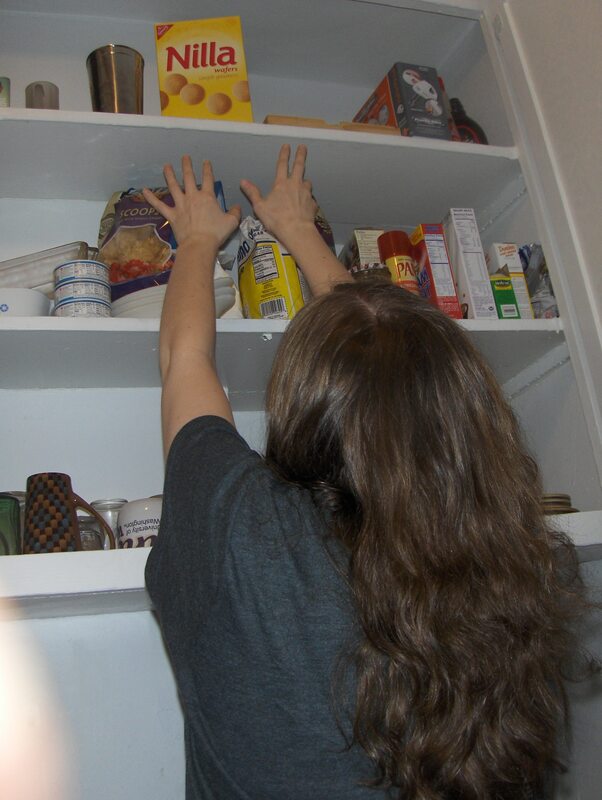 But this night, at 10pm, when I decided I wanted a cookie, I found out that my tall boyfriend had shelved them on the top shelf. I am on my tip-toes in this picture. Is this not the saddest picture I’ve ever taken it? It makes me want to cry. My finger guest starred in this pic.